DIAL: Black matte dial with luminous indexes with SWISS MADE printed at the bottom. CONDITION REPORT: The Dial is in good condition without damage, but the luminous material has deteriorated and liked peeled over time. The case is in good condition and to have been polished/refinished at some point, however the hippocampus is still visible on the case back. The ST 105.002 is an ultra-rare transitional reference that was chronologically manufactured, the CK2998-62, then ST 105.002-62 and afterwards ST 105.003-63. The transitional 105.002 introduced the 6 digit new reference system and last alpha hand model marks the transition before the switch to baton hands. 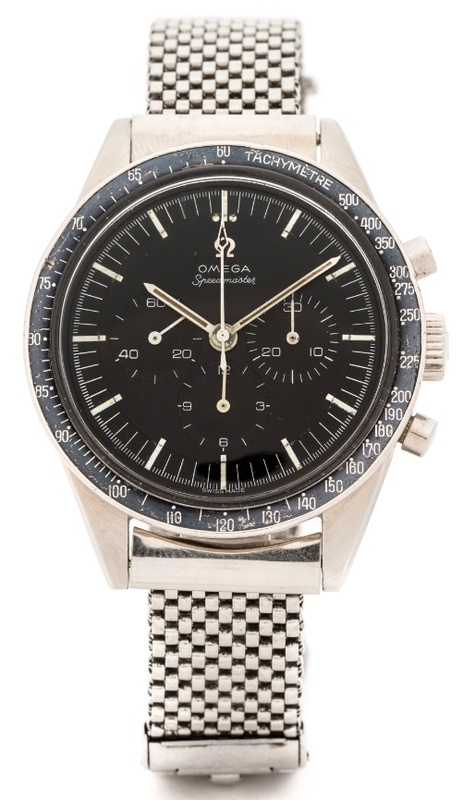 This example is part of the later production of the reference 105.002 that was fitted with baton hands and as such the first Speedmaster with these hands. This feature is still found on the Speedmaster today. It is estimated than even fewer were made of this version than its alpha hand predecessor, with less than 6 months production.